In this tutorial we are going to learn how to install Steam on Ubuntu 18.04 LTS. Steam is a cross-platform software delivery platform where you can find PC games that can play in your Ubuntu 18.04 Desktop. When you install steam on Ubuntu, you get access to lots of games and other software. Some of these games available for free while others require you to pay. Before install stem. Run the ubuntu-drivers autoinstall command and install drivers for your graphic card. How to Install NVIDIA Drivers on Ubuntu 18.04. Steam for Ubuntu is available in the default Ubuntu software repository. So we can install Steam with apt-get install command. After the installation is finished, Open Steam from the Ubuntu software launcher. Steam client will check for the new updates and automatically download and install updates if available. After that you can log in to your steam account or you can create a new account to start using Steam on Ubuntu 18.04. 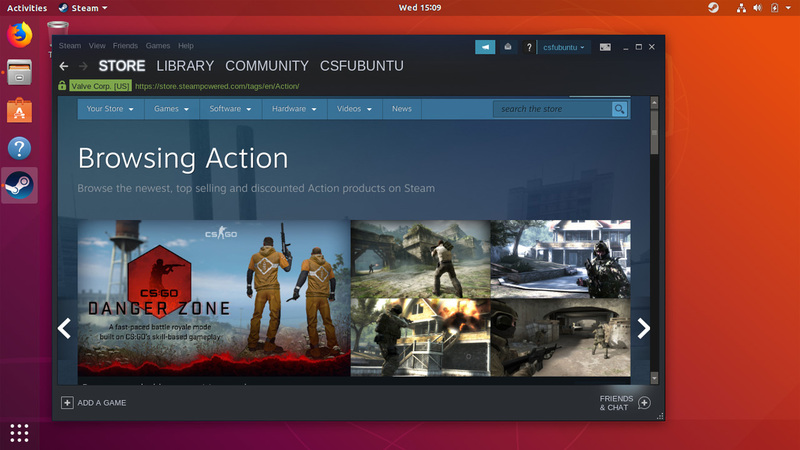 Now you can use steam to find games that you can play on your Ubuntu Desktop.